I guess if you’re a Hollywood STAR you just don’t have to follow all those mundane rules and regulations that the rest of us peasants are expected to obey. 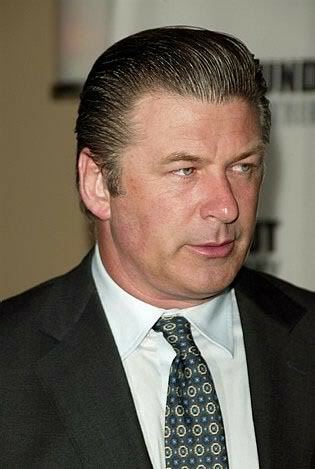 Certainly, Mr. Alec Baldwin, actor and Huffington Post commentator, seems to think that he’s been graced with special honorific privileges even when he’s traveling as a passenger on a crowded airplane. Apparently he said he was playing a game, but he was actually talking on the phone. She [the flight attendant] was very nice. The door was closed they just announced that they were pulling away from the gate. He got up, threw his papers on the floor, stormed into the bathroom, slammed the door closed, beat on the wall, and then came back. And kick him off they indeed did. Unfortunately for the other passengers, the Baldwin brouhaha caused an hour’s delay for the flight. But surely, any inconvenience to the viewing pubic must be totally inconsequential when compared to the happenstance of having such an illustrious Hollywood honcho onboard. Me thinks the beefy Baldwin has gotten too big for his breeches. Too much money, too much attention, and too much phony adulation, all add up to some very bad boy behavior. This entry was posted in Media/Arts/Entertainment and tagged Alec Baldwin, American Airlines, Huffington Post. Bookmark the permalink.